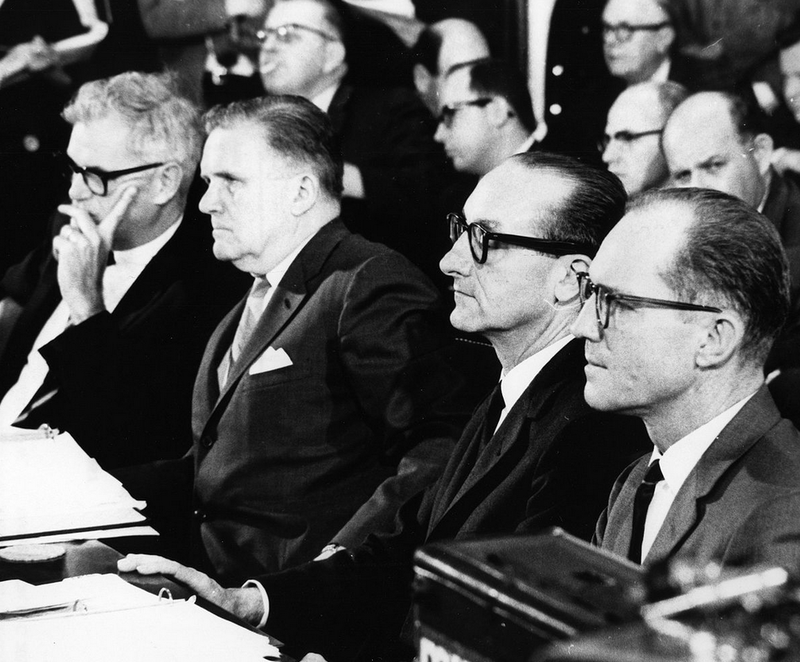 January 27, 1967 is a day many space buffs will always remember. 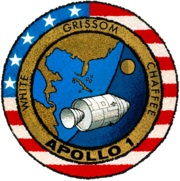 It was on that tragic evening three U.S. astronauts, Ed White, Gus Grissom, and Roger Chaffee died on a Florida launch pad. 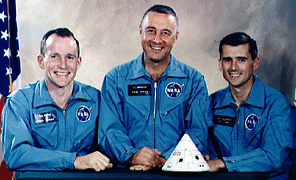 The three astronauts were chosen for the Apollo Program, which was to be the first manned space flight. 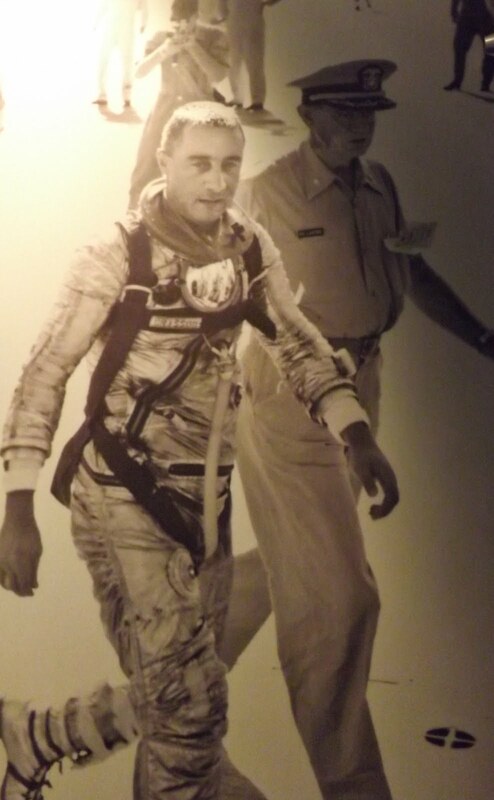 Grissom was to be the command pilot, (This would be his third space flight.) Ed White was designated as senior pilot because he had experienced two previous space flights, and Roger Chaffee was the pilot since this would be his first space flight. But the Apollo spacecraft was plagued with problems from the beginning. 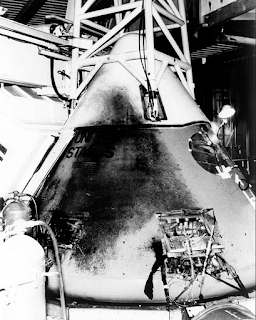 In fact, when the craft was delivered to the Kennedy Space Center in August 1966, more than 630 engineering changes were done to the command module as it set on the launch pad. The crew didn't like the huge assortment of flammable materials located in the cabin. The men approached Apollo Space Program Office Manager Joe Shea and requested that all of the netting and Velcro be removed for safety’s sake. Shea issued the order to his staff but did not have the request supervised. Finally, on December 30, 1966, the craft was ready for testing. But Commander Gus Grissom was so annoyed by the continuous problems and headaches; he hung a lemon off the Apollo simulator - one week before tragedy struck. It was Friday, January 27 1967, when the three men arrived at Cape Canaveral’s Launch Pad 34 ready to take part in pre-launch testing aboard the Apollo 1 command module. The test was not considered to be risky since there was no fuel on board, and any explosives had been disabled. But the testing was riddled with problems and concerns. The men were dealing with a situation that was growing worse. 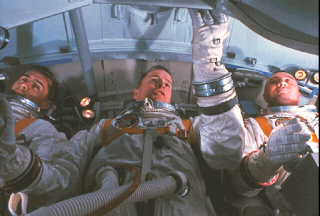 Grissom, White and Chaffee agreed that despite all of the problems plaguing the launch, all they could do was their best with what they had to fly - and fly they would on February 21. Around 6:30 that evening, as nerves wore thin and the astronauts were ready to stop for the day, a flash fire broke out aboard the Apollo 1. In the pure oxygen environment, the fire burned quickly. So quickly that attempts to rescue the men were futile. A microphone that had remained on broadcast the dying words of one of the men into the control room: “We've got a bad fire—Let's get out ....We're burning up." 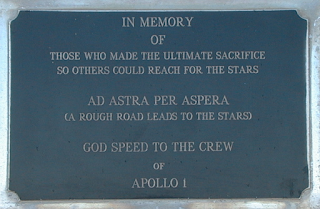 All three astronauts aboard Apollo 1 died of asphyxiation. 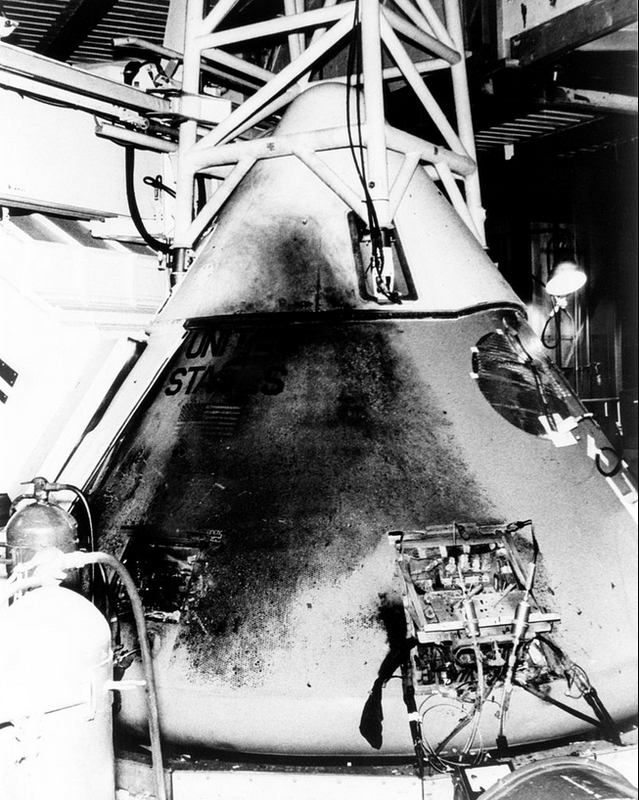 Once the craft was opened, it took 90 minutes to remove the astronauts due to the melted nylon inside the cabin that had fused to them. The tragedy was investigated and the fire was blamed on faulty electrical wiring. But the men lost their lives because the pressure inside the cabin had sealed the hatch door shut making it impossible to open from either side. 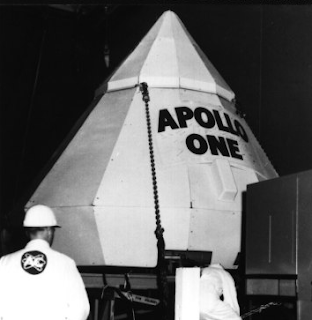 The capsule had become a deathtrap for the men inside. 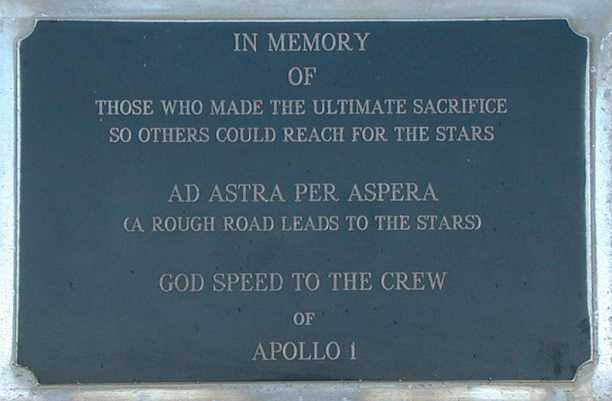 Tomorrow will be the 51 anniversary of the Apollo 1 tragedy. 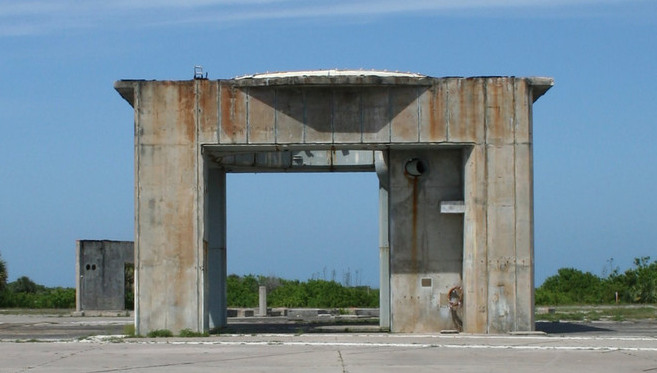 All that remains of Launch Complex 34 is the launch platform, which serves as a memorial to the crew of Apollo 1. 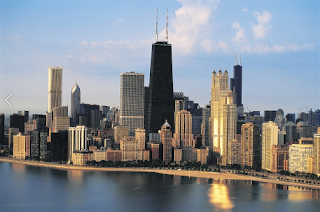 For Tombstone Tourists residing, or planning a visit to Chicago, there’s a new cemetery web site created by Barry Fleig that offers historical and contemporary graveyard resources for the Windy City. Plus a lot more! Fleig began the Chicago and Cook County Cemeteries Cemetery Guide in August last year. 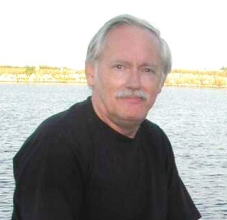 His site has a listing of more than 800 Chicago area graveyards, plus numerous Native American burial grounds. The web site contains thumbnail sketches on 273 cemeteries, and more than 250 cemeteries have been cross-referenced for easier research. More than 300 Jewish cemeteries can be found in the Chicago containing more than 175,000 burials. According to Fleig, these small cemeteries make up a patchwork of burial grounds located mainly in Jewish Waldheim Cemetery in Forest Park, a suburb west of Chicago. 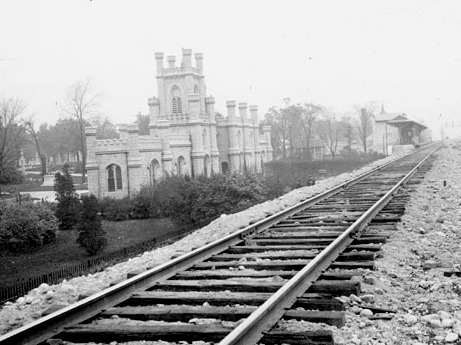 Besides burial site information, Fleig has also written numerous blog posts detailing some of Chicago’s lesser known cemetery wonders including facts about daily funeral trains that ran through Chicago in the 19th century, information on three cemeteries located at O’Hare Airport, a cemetery that has a elevator, and a cemetery that held a liquor license. 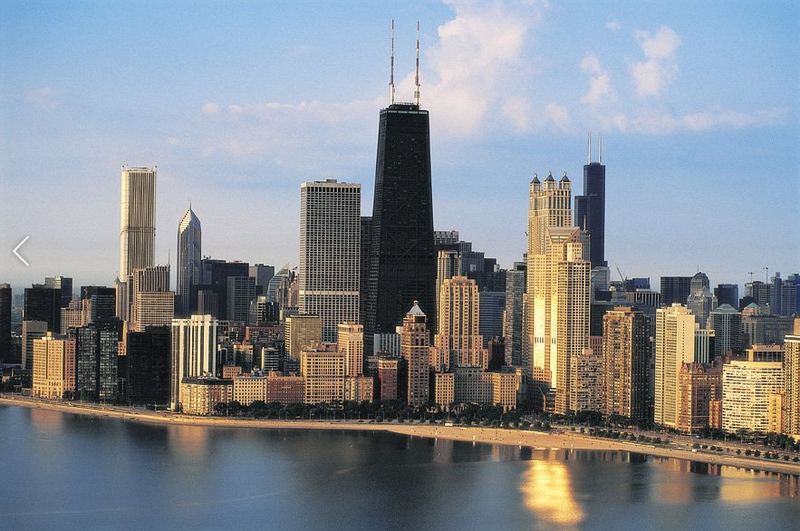 The Windy City has its share of history, and forgotten cemeteries abound under some of its most famous buildings and tourist sites. Fleig, a cemetery historian, focuses on finding cemeteries that have disappeared. He was instrumental in the rediscovery of the Cook County Cemetery, the site of more than 38,000 burials on property that once belonged to the Chicago State Hospital on the city’s northwest side. To date, nine acres have been preserved under the Human Grave Protection Act. Whether you’re planning a cemetery outing in Chicago, or just want to learn more, visit Chicago and Cook County Cemeteries.com. She was considered the most popular author in the world when she died, having written more than eighty books during her lifetime. 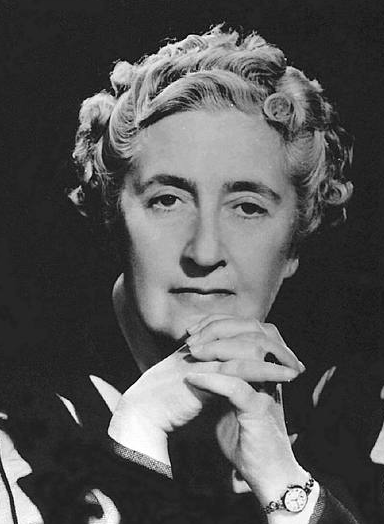 British author, Agatha Christie’s books have sold over 2 billion copies. She wrote plays, short stories, poetry, and novels under her real name, and romance books under the pen name, Mary Westmacott. 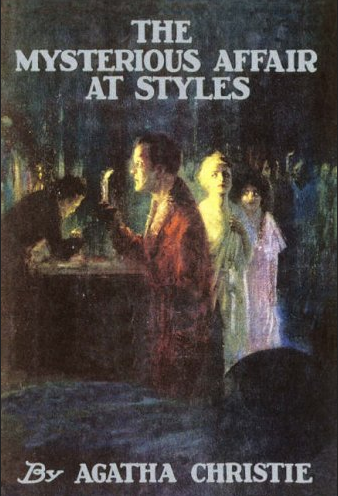 Christie wrote her first detective novel in 1920, The Mysterious Affair of Styles, which featured her most famous detective, fastidious Hercule Poirot. She had learned about poisons and their affects while working as a volunteer aid detachment (VAD) at the Devon England hospital during WWI. By the end of the war, she qualified as an "apothecaries' assistant,” someone who dispensed medications - a perfect side job for a mystery writer. 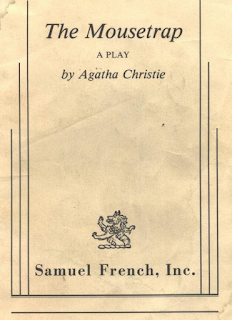 Known as “The Queen of Crime,” Christie wrote 66 mystery novels featuring Poirot, and her other famous detective, Miss Marple. Christie also published fourteen short story collections. And, she wrote the world’s longest running play, The Mousetrap, which opened in England in 1952, and is still playing after more than 25,000 performances. During the Blitz in WWII, she worked as a pharmacy assistant in London, finessing her knowledge of poisons. 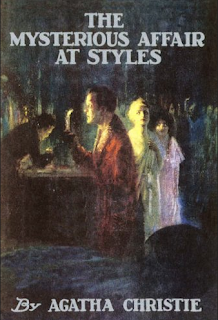 After the war, Christie was awarded the first Grand Master Award from the Mystery Writers of America. 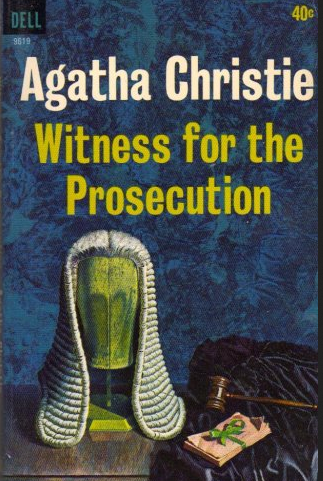 She was also awarded an Edgar Award in 1955 for her play, Witness For the Prosecution. 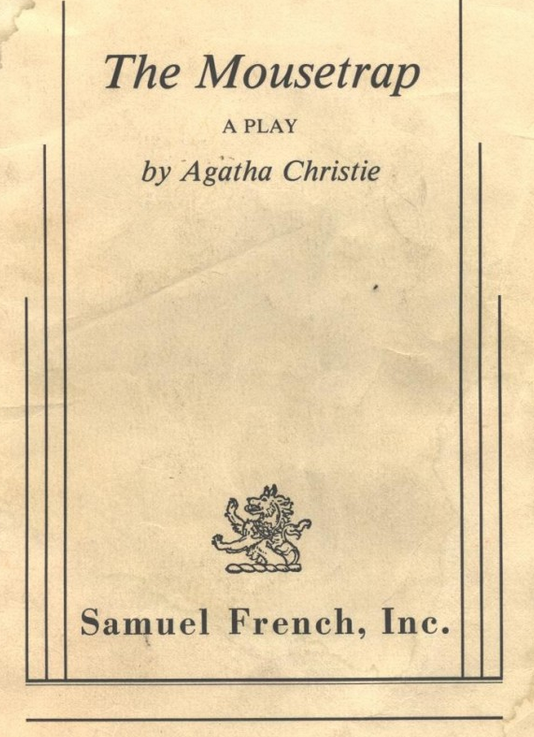 Her best selling novel of all time, And Then There Were None, was published in 1939. In later years, Christie tired of her famous Belgian detective, Hercule Poirot. But his popularity kept him in the forefront of her works. Determined to give the readers what they wanted, Christie continued to feature him throughout her books. Christie began to suffer from the effects of dementia in the early 1970s. Agatha Christie died on January 12, 1976 in Oxfordshire, England. She was 85. She was buried in St. Mary Churchyard. It was rumored that at the time of her death, she still had one Miss Marple novel that had not been published, but as yet, has not been released. 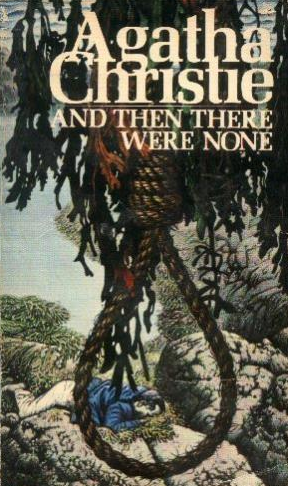 However, one of Christie’s essays was discovered in 2012, and published in the UK amid much fanfare. 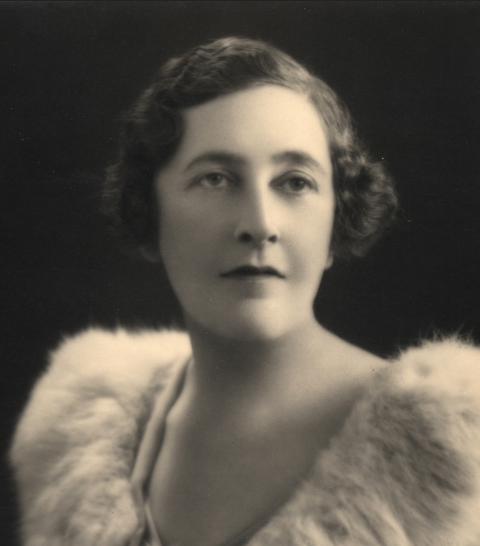 Agatha Christie was made a Dame of the British Empire in honor of her contribution to writing in 1971.